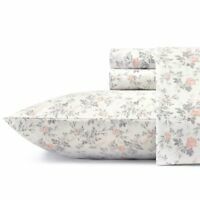 This daybed set is one of the prettiest out there considering they don't offer a lot of choices for daybeds; however, I really wish that it came with three matching shams not just two with the aqua blue print and then the third one being a creamy color. I would've preferred that all three shams were the same aqua blue color. The only other thing that I would've changed would have been the bedskirt the bedskirt was a little lacking altogether in color and quality, but the actual quilt set itself is really pretty and made really well. Overall, if I had to give advice as to whether I would purchase this again I would say yes but only consider it if you're only OK with only having two of the shams matching. I lucked out and found somebody online selling a set of the shams just by themselves so I bought them I ended up paying over $40 for them, but it was worth it for me to have all three shams match.